Toronto loves donuts. 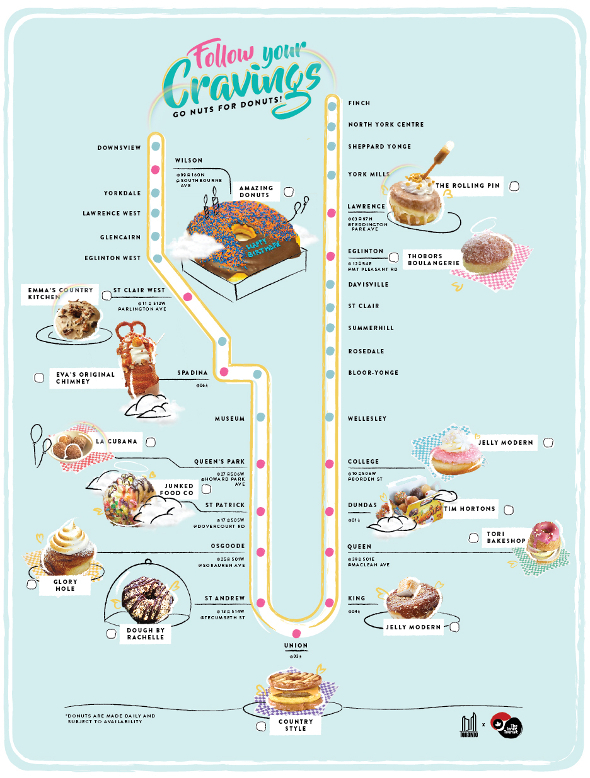 From donut cones to crazy creations topped with candied bacon, toasted marshmallow fluff or peanut butter-flavoured glaze, our city is teeming with donut shops that go far beyond your run-of-the-mill Tims. And one individual has made it easier for you to seek out these specialty bakeries. 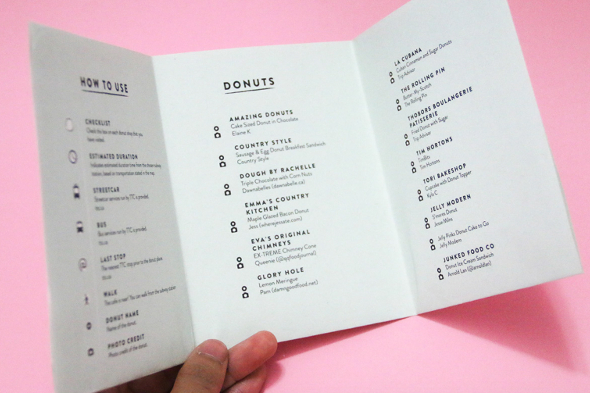 Aqil Raharjo, a design student at OCAD, created a map and pamphlet for a school project illustrating the city's best donut shops around the Yonge subway line. His pastel coloured map, created for the imaginary Inner Tourist organization, features details about all of the storefronts as well as a checklist to ensure you visit each one. While some of the donut destinations - like Glory Hole, for instance - are quite far away from the Yonge line, they're still easily accessible by TTC. So get out there and stuff your face with donuts. Just don't get any oil on this lovely map.